HOMEOWNERS – Follow these New Year’s resolution tips to have a great year as a homeowner! I have seen so many articles, shows and videos stating that having clutter around has shown to decrease productivity, creativity and focus. In addition, clutter can actually increase anxiety and stress, which makes it difficult to relax and enjoy your home. So… why not commit to clean it up this year? To increase productivity and relaxation, clean out the clutter in the beginning of the year so you can start out happy, fresh and motivated. Of course, you don’t need to attack every drawer and cabinet all at once. Of course, you don’t need to attack every drawer and cabinet all at once. Take your time and go through your home, room by room. Plan one section or closet at a time and thoroughly analyze each space and decide whether or not certain objects are valuable or don’t bring much use. 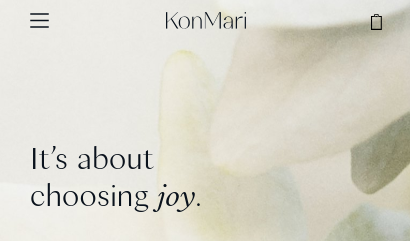 Maybe you have heard of Marie Kondo’s KonMari Method™ or saw the show on Netflix– so ask yourself – Does it bring you joy? Once you have everything cleaned out, it SO MUCH easier to evaluate your home’s condition. Maybe this is your year to sell. The condition of your home can be a major stress point in the selling process. On the inside, you will want to start with simple repairs. Make a list of lightbulbs that are out, smoke detectors and carbon monoxide detectors that need batteries or replacing, leaking faucets, broken switches and take a trip to the home improvement store to gather supplies you need or call a handyman with your list or work. Next, have your mechanicals and appliances cleaned and serviced. Taking care of these items will ensure they last as long as possible… and future buyers will be put more at ease if you have maintenance records. Then, evaluate the walls, ceiling and flooring. Is it time to repaint or replace flooring? Finally, what small updates can you make? Can you swap out cabinet and door handles or light fixtures for something more modern? If you haven’t, create an annual home maintenance checklist of routine things that should be checked or tested. Make as many copies as years you plan to live in your home and put them in a binder. Fill one out every year so you don’t miss out on checking your home’s overall condition. The binder should also have a log of your home’s vital information. What year is your furnace? How much insulation is in your attic? This will help you keep track and anticipate potential repairs/replacement. The binder will keep yourself accountable and decrease the element of surprise is something needs to be repaired unexpectedly. These extra payments add up to more than their face value. They can make a huge impact on the total amount paid back over the course of the loan by reducing the interest you pay and potentially shortening your loan’s term so the loan will end sooner than expected. Cutting back on certain amenities or luxuries can help achieve your goal of making larger payments. Using less water or electricity, skipping out on daily coffee runs or packing your own lunch can help save money, which then can be used toward you mortgage payments. Many plans rollover to the following year to make it easier on homeowners so they do not have to review any documents or stress about updating plans. Easy peasy. Out of sight, out of mind. Although this relieves the burden of completing extra paperwork, you may be missing out on some money saving opportunities. Have you made any major improvements regarding your home’s safety since you have owned your home? For example, removing overhanging trees, replacing windows, or installing an advanced security system or other safety features. If you have, let your insurance agent know. Completing these renovations can potentially lower your premiums. To make sure you are getting the best bang for your buck, review your homeowner’s insurance policy details and shop around. Get quotes from different insurance companies to see where you can get the best coverage for the lowest rate for a deductible you are comfortable paying. Refinancing your mortgage is a great option for homeowners that are looking to lower their monthly mortgage payments or shorten their loan’s term.If you have been in your home many years or have paid down a large amount on your mortgage, call you lender and ask what the cost would be to refinance and discuss your goals. With these resolutions, you can begin 2019 and give yourself peace and stability for years to come! HELOC for Down Payments: Are you worried about juggling your current home sale with your next home purchase?